John, I guess if you use the local marker with each service your page will become unreadable. You just need to make sure that these local markers are prominent enough on your webpage. To have high positions in Google for <i>Hair Extensions Detroit</i> it is not necessary to have these words <i>Hair Extensions</i> and <i>Detroit</i> stand together. They rank #1 for <i>Hair Extensions London</i> but they don't have this phrase on their website exactly as is. I am building a few websites in my local area and am targeting keyword phrases with local qualifiers such as "Detriot Dentists" or "Hair Salon Ft Lauderdale" (I don't live in either local, just using as an example) My question is, do I need to add the local qualifier with each service a company may offer, or just target a few and that will be enough for local prospects to find the site? I totally enjoyed this chapter. I love how you explain the importance of keywords. 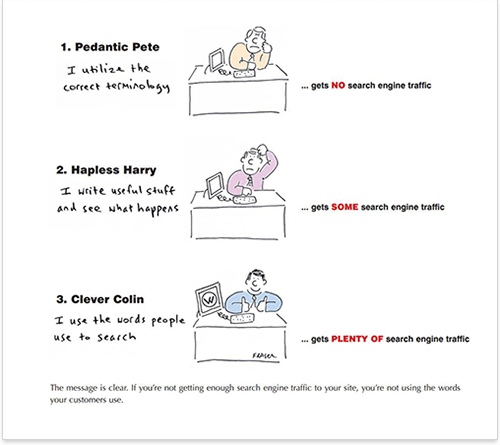 We do hear a lot about keywords everywhere but no one seems to explain it in the manner which you have done here. 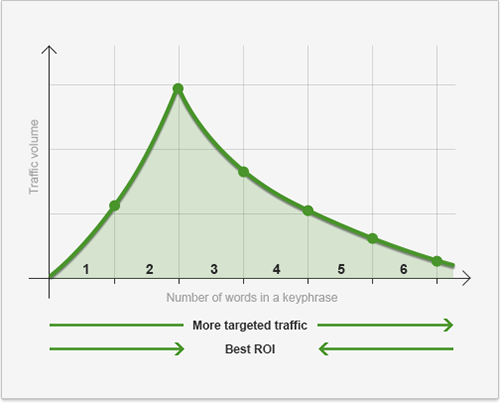 What I love is the fact that you don't go on and on about long tail keywords but rather the importance of the keywords you choose being able to convert. i guess as soon as you go through this guide you will have plenty of ideas for optimizing your blog. I wish you all the best in your daily SEO! thanks for your help. and would you give me explanation about what i have to do to get it work?thanks before. I want this book in my library, near to other great books like the 22 immutable laws of marketing. If you're looking for advice that's easy to understand, I guess you've come to the right place;) At least I'm doing my best! Well Dan this is just great, because at age 68 I guess the head gets thick or the files are full. I just can't get the traffic to my 2 websites so thus they are not producing any sales period! Very frustrating indeed. I think this will help me very much. 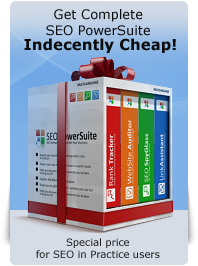 After reading numerous SEO books, you by far had the most logical and concise evaluation for long-tail keywords. I'm forging ahead.